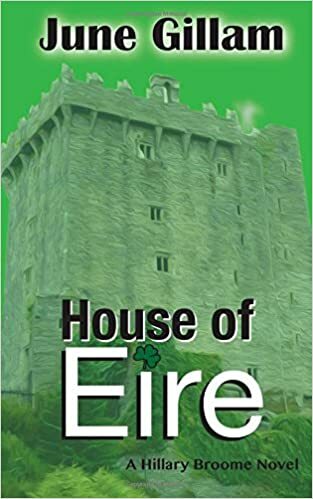 In House of Eire, Hillary Broome, a reporter-turned-ghostwriter from Lodi, California, and her detective husband Ed fly to Ireland—Ed for a gang conference in Dublin and Hillary to research her ancestors in Galway. Hillary plans to meet up with her friend Bridget, who’s pushing a greedy developer to include a memorial museum inside his proposed Irish theme park. As Hillary travels through Ireland and learns more about her friend’s crusade, she uncovers secrets and mysterious forces nudging her to fly away home. The story was good. But it took me till almost the end to get really captivated by it. By the very end I was wanting to read the next installment of this series. Along with the copy of House of Eire I also received House of Cuts and House of Dads (information about both books is at the end of this post)I was not required to read either of these books. The other books in this series were 'gifted' to me to introduce the series. I chose not to read the first two books before I read House of Eire. It is possible had I read them I would have been a 'bit' more interested in this book. But honestly I sincerely doubt it. I enjoyed the depth of research information that June Gillam did in writing this story. The tour through Ireland made me feel like I was really there and had me wanting to go there. The story about the main character Hillary going to Ireland to research her family history really didn't develop. The sub plot about an American developer planning to build a theme park took over the story. The mystery developed when Hillary's contact is found murdered after receiving strange voodoo type dolls. Frankly I wasn't really surprised to find out who was behind the murder. I was surprised along with Hillary who was involved (by association) in the scheme. Overall I can say I thought this was a good book. Not one that I would call great. I am looking forward to reading House of Cuts and House of Dads and any additional installments. June Gillam teaches literature and writing at a Northern California Community College. She describes this series as psychological suspense novels in which Hillary Broome, reporter and ghostwriter, fends off complex villains of many kinds: a berserk butcher, a demented daughter and a haunted theme park developer. Back in the summer of 1990, though, it had come as a shock to realize, while I was a student in a teacher’s writing workshop, that I didn’t know how to write a family story. I explored that problem over the years and finally came to understand that ours was not a storytelling family. My poems started to sound to me as if they wanted to become stories, but I had been raised in a sort of goodie-two-shoes home, where conflict was kept hushed up under our rugs. Of course, stories are nothing without conflict, so I began the long and expensive project of teaching myself how to gather what I needed—courage and companions—to learn to write stories that held the tension of conflict. That ended up being the subtitle of my dissertation: Women writing stories containing conflict. It was published by an academic press, but they priced it way too high, and I couldn’t get them to lower the price so regular folks could afford it. So I started a new journey: becoming the publisher for my own works. Now I’m Gorilla Girl Ink—bold black and white words on the page. I’ve published a book of poetry, So Sweet Against Your Teeth, and three novels in the Hillary Broome Series—where I indeed show I’ve learned to create conflict on the page! 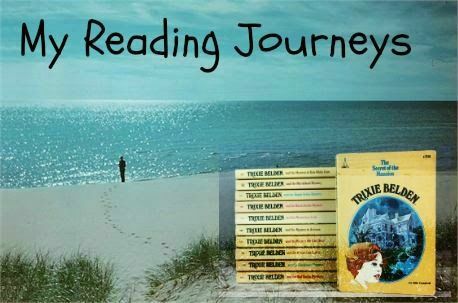 I love the journey of life and the gift of expressing the many pathways it can take on the pages of my writing. A maniacal butcher, a journalist/teacher with a shameful secret, and a cigar-toting detective set the stage for this psychological thriller, the first in a series of Hillary Broome novels. Set in California's Central Valley, House of Cuts involves suspense, intrigue, and a burgeoning romance. My favorite things about this novel include the dialogue, the wonderful details, and its sense of place—from the lush walnut orchards of Morada, CA, to PriceCuts, what Gillam terms the "24/7 machine," the kind of superstore familiar to any modern reader. I also enjoyed the fact that eight of the fifty-one chapters are told from killer Melvin's point of view so that I was able to get a first-hand glimpse into his demented, mother-obsessed mind. One of Gillam's strong virtues as a writer is her ability to enmesh you, the reader, in the many layered action of the story until you become that close and helpless bystander who must live every unspeakable thing out with the characters. Too bad about the hundred things and obligations with their gummy fingers on you. Too bad until the story is finished, for you are not free to return focus to your own life, not yet. 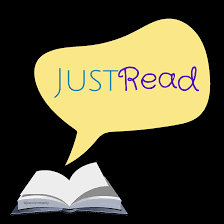 When you close the book at last, it is with a sigh of relief and gratitude and satisfaction that YOU don't have to live out such things yourself as you and the characters have experienced together. Oh, but all will linger in your mind. And at the same time, you will already have an eye out for the next Hillary Broome adventure! Come along for the ride to meet feisty Boston city girls who know what they want, and rugged Montana men who just need to be loved. It's 1900, and things are changing fast in sleepy Sun River. As the town begins to expand, its inhabitants are getting restless, looking for love and adventure. Why would an accomplished governess respond to an advertisement in the Matrimonial Times? Myra Gilbert had never considered such a thing, but something has awoken within her and she is determined to take her chance on love. Carlton Green claimed his lands, and now has the deeds in his grasp. But something is missing in his life. Will his quest to find love fill that hole, or is there something from his past that could change everything and leave him with nothing? I was looking for something to read on my computer and stumbled onto this title. I wasn't sure how I would like it. I'm not really a fan of historical romances. Or thought I wasn't! I am now and a fan Karla Gracey! I'll be checking out additional titles from this series for sure. This was a fun and quick read for me. I started it and couldn't stop. Stayed up way too late but I was intrigued with the story and the characters. The story line wasn't what I expected. The typical guy meets girl. Guy wants/gets girl. Then trauma, or tragedy or an x comes in and causes trouble. They split then get back together at the end and all is well. Happily ever after. The end. This story wasn't like that. There was sweet romance. Via letters. Till Carlton shows up in Boston to meet Myra the girl who answered his ad for a Mail Order Bride. A quick romance that began through their letters quickly takes the next step to a wedding. But before they can wed unexpected trouble arises. Carlton has to face his past and figure out a way to move forward. And tell Myra about his past. 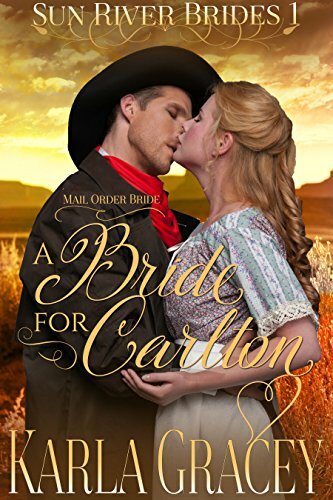 A Bride For Carlton is Book #1 in the Sun River Brides Series. I look forward to reading more books in this series. by anyone and was not asked to write a review. 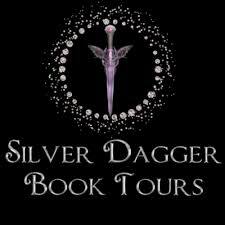 This review will appear on my blog My Journey Back The Journey Back and on consumer sites including Amazon, Barnes and Noble and Good Reads.